To my mind, this latter point comes across when Morris writes: “Nothing is said, for example, about faith; is it not necessary to believe if we are to have life?… The only things without which we cannot be saved are repentance and faith.” Nothing is said about faith? If you are considering vv.51-58 alone and apart from the rest of John 6 you can perhaps mount an argument. But if one, as O’Day argues, is considering the continuity and integrity of John 6, then faith is the precursor and necessary commitment to this section. Consider 6:29 – “This is the work of God, that you believe in the one he sent” and 6:35 “I am the bread of life; whoever comes to me will never hunger, and whoever believes in me will never thirst.” There seems to be a quite clear path in which coming to/belief in Jesus is being framed as that which satisfies hunger and thirst. But ignoring the continuity and integrity of the whole chapter is the very thing O’Day warns against. Is anyone surprised that anyone hearing this discourse in person would be naturally perplexed? Up to this point the dialogue has centered on “bread from heaven,” “living bread,” and references aplenty to the manna of the Exodus (and from who the gift came). Now Jesus says quite clearly that the bread is his “flesh.” Naturally, one would wonder how this would all be possible. But then this is the same Johannine pattern seen in the chapters 2, 3, and 4. Those present in the Temple who hear Jesus will raise a destroyed temple in three days; Nicodemus who wonders how to be born again/from above; and the Samaritan woman who is initially puzzled by flowing/living waters – some call the pattern misunderstanding. Others would call it a way in which to get people to discern more deeply as to the mystery of God who stands before them. Not all will understand. The Samaritan woman alone sees that Jesus is the promised Messiah. The people in this narrative also face the same doorway. Will they pass through and discover new meaning or will the practical mechanics of “how is this possible” deter them from Truth. It is hard to know how firmly to hold to the Johannine “misunderstanding” pattern. 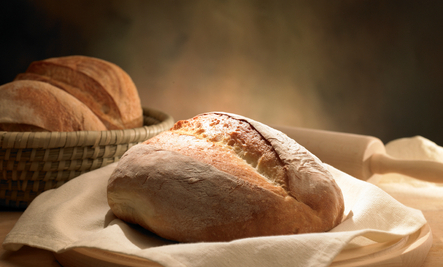 It is clear if Jesus simply means to use bread and flesh in a metaphorical fashion, then it is lost on the people. Where Nicodemus and the Samaritan woman have choices there are no as-readily apparent choices available to the people. They are confused and one thing is clear: Jesus does not stop and say, “Sorry, let me explain the metaphor.” In fact, he ratchets up language and begins with a quite solemn proclamation – for the fourth time in this Bread of Life Discourse. For Jesus, what follows is paramount.